The week of April 1, 2019, a designated propane company employee should have received an email asking them to complete your company’s submission for the Annual Retail Propane Sales Report no later than May 31. Submit your sales figures to help ensure your state receives an accurate amount of rebate funding from 20 percent of PERC’s annual revenues and to see that your assessment dollars are used in the most efficient way to support market trends. If you’re unsure which person at your company is responsible for submitting, please email salesreport@propane.com. Effective September 1, 2017, the Oklahoma LP Gas Research, Marketing and Safety Commission (LP Gas Commission) reduced the rebate it offers for the purchase and safe installation of propane water heaters to $100.00. The reduction was unanimously approved by the LP Gas Commission’s Board of Directors at its meeting in May 2017. Oklahoma’s LP Gas Commission was created on November 1, 1994, and the Water Heater Rebate Program went in to effect in 1996. Since then, Water Heater Rebates have been adjusted several times due to market conditions, finances, competition, etc. Water Heater Rebates were initially set at $150.00. Rebates peaked at $350.00 following the unusually long and cold winter of 2013-2014. In the 20 plus years the program has been in effect, the LP Gas Commission has paid approximately 20,000 Water Heater Rebates valued at approximately $4.5 million. However, with expenses increasing annually and with income virtually unchanged for more than two decades, the LP Gas Commission’s Board of Directors voted to reduce the Water Heater Rebate in order to help balance the budget and to avoid reductions elsewhere. Under Oklahoma law, the LP Gas Commission is funded by a one-half cent per gallon assessment on the first sale of odorized propane in Oklahoma including propane imported from out of state. Oklahoma’s assessment on propane has remained at one-half cent per gallon since the LP Gas Commission was created almost 23 years ago. The adjustment in the Water Heater Rebate was the only substantive change approved during the May, 2017, board meeting. Oklahoma’s LP Gas Commission will continue paying a $50.00 rebate to replace out of date and/or faulty regulators. Oklahoma’s LP Gas Commission implemented the nation’s first Regulator Rebate Program in 1996. Initially, rebates were set at $30.00 although they too have been adjusted several times over the years. To date, Oklahoma’s LP Gas Commission has paid more than 40,000 rebates valued at approximately $1.5 million to replace faulty and/or out of date regulators in Oklahoma. OPGA is and shall remain committed to increasing the effectiveness of gas service for light, heat, and power; to advancing the methods of manufacture, distribution, utilization, sales, and accounting relative to this industry; to advancing the public’s knowledge of, and appreciation for, the unique qualities of propane as well as its various and diverse uses; and shall encourage, now and in the future, economic advancement, safety, conservation and standardization within this industry. 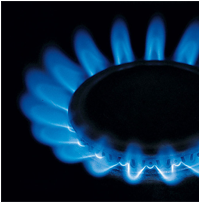 Commonly referred to as Propane, LP Gas is one of the nation’s most versatile sources of energy. In fact, propane fuels everything from the rides at Disney World to the Olympic Torch. Propane also supplies about 4 percent of our total energy needs. Propane exists both as a liquid and as a gas. 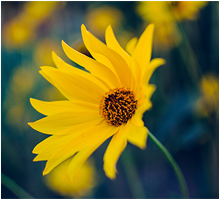 At atmospheric pressure and temperatures above –44 F, propane is a non-toxic, colorless and odorless gas. An identifying odor is added to propane so it can be readily detected. When contained in an approved cylinder or tank, propane exists both as a liquid and a vapor. The vapor is released from the container as a clean-burning fuel gas. 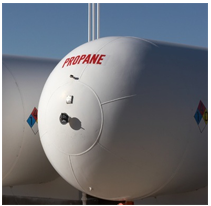 Propane is also 270 times more compact as a liquid than as a gas making it economical to store and to transport. 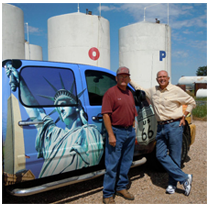 Approximately 90 percent of our propane supplies are produced here in the United States and another 7 percent comes from Canada. Propane is produced from the refining of crude oil and the processing of natural gas and it’s a readily available, secure energy source whose environmental benefits are widely recognized. 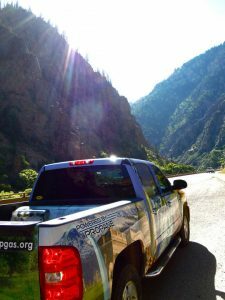 Propane is an approved alternative clean fuel included in the 1990 Clean Air Act as well as the National Energy Policy Act of 1992.